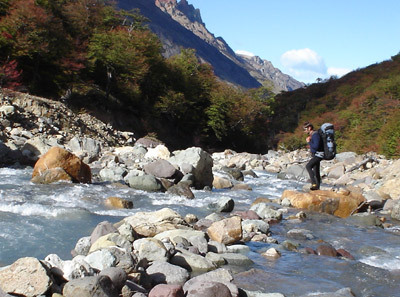 For those who are in shape, the first proposal would be to reach de Lodge following a trail from the southern point of the Lago del Desierto , with one of our guides ( 3 hs trek ), while your luggage would be taken by boat. 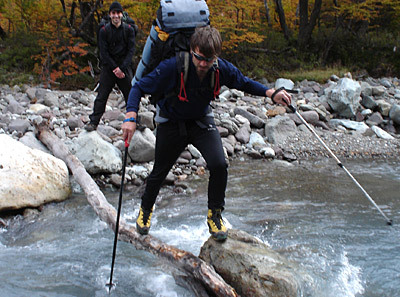 Several options of treks may be considered: basically those than can take a couple of hours to treks that can be as long as one desires, that’s up to you. Every evening before dinner we get together to plan the following day activities , which can combine either treks or boat trips. 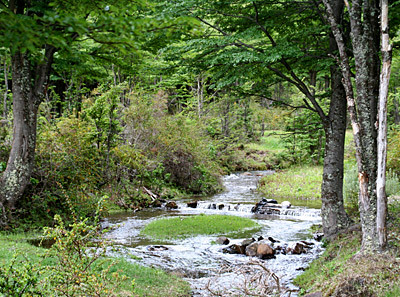 The idea is to explore trails of incredible beauty, with the advantage of being far from all but close to the Lodge. 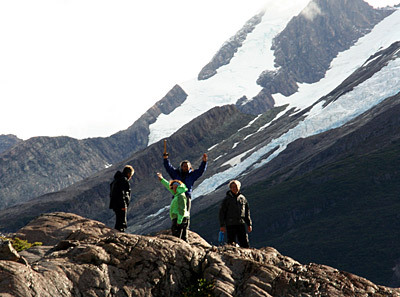 The Glaciar Huemul, the northern point of the lake where the endarmería Base is located, the border with Chile, and a little further the Lago San Martín, spending a night in tent , and why not, this could be the start of your experience in Chile from Villa O’Higgins onwards. 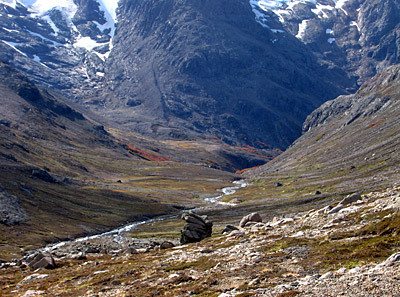 All these small valleys , creeks , glaciers and waterfalls are added to the special and incredible activities offered from El Chaltén. Now that the Aguas Arriba Lodge has opened, your adventure options have expanded and your exploration quest has a limit that only your imagination can define .